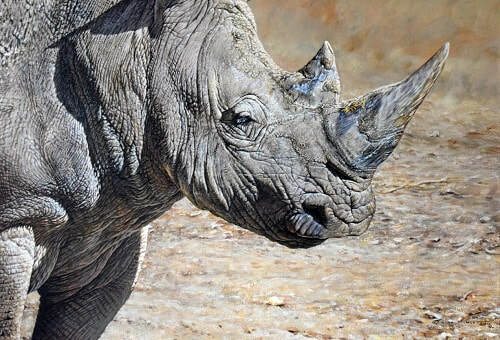 Alan M Hunt is widely regarded as one of the best animal artists in the world and although hard to comprehend these animal images on this website do not portray the actual strength and depth of these original animal paintings. These original british and african animal paintings are truly better than a photograph and Alan manages to capture animals in a way that photographs never can. 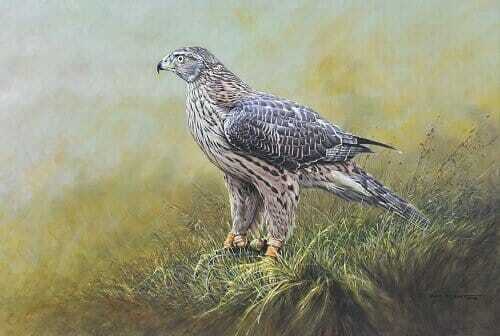 Alan M Hunt has been painting animals for over 50 years. 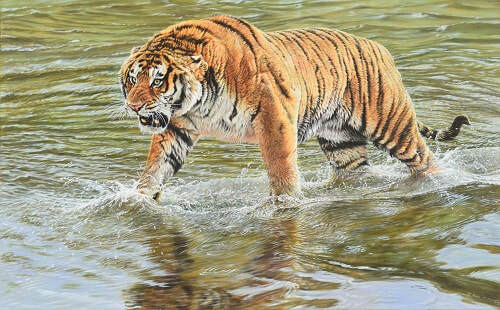 In that time, he has captured thousands of images of animals and birds from around the world and painted hundreds of popular wild animal paintings. British Animal Artist Alan M Hunt started drawing and painting at the age of 8, when his mother gave him some watercolour paints as he recovered from an illness. Alan started off painting birds from his bedroom window that visited his however he soon moved on to capture much larger animals, birds and other local animals and wildlife. Read more about his career on https://en.wikipedia.org/wiki/Alan_M._Hunt. ​CATEGORY WINNER IN ANIMAL BEHAVIOUR - THE ARTIST MAGAZINE AWARD WINNER AND THE PEOPLE CHOICE AWARD WINNER. "Scatter" - Tsavo Matriarch - Larger elephants with big tusks are nicknamed Tuskers, this magnificent beast has disturbed some egrets. "Humans are destroying wildlife and the planet, if my son does not get to see in his lifetime half the wildlife I've seen I will feel very guilty." Tigers are one of my favourites of all the big cats. It is difficult to understand the true size and power of these animals. However their beauty is clear to see. 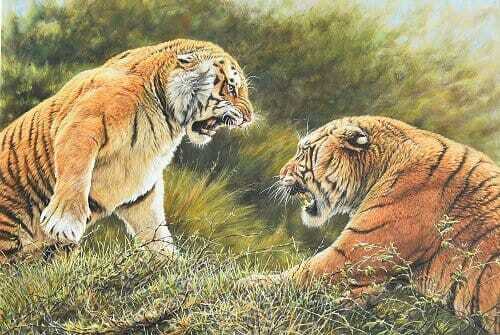 See more big cat paintings. A collection of graphite pencil studies of animals by British Animal Artist Alan M Hunt. 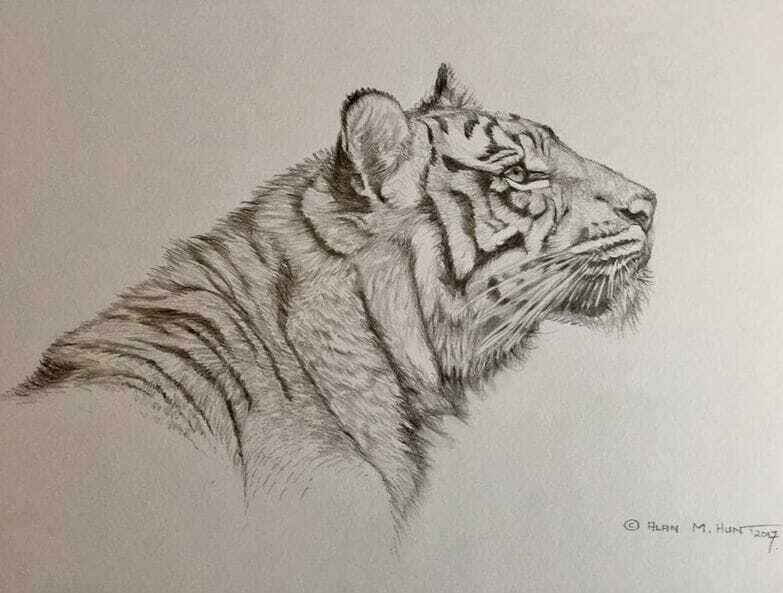 click here to see more animal pencil sketches. Animal Artist Shop for many more Animal Art prints, posters, throws, , duvet covers, bath towels, coffee mugs, phone cases and more designed by Alan M Hunt. Each exclusive Animal Art product ships within 3 - 4 business days and includes a 30-day money-back guarantee. All available at Alan M Hunt's Animal Art Shop. Alan M Hunt studied art at Middlesbrough Art College and then went on to study zoology at Leeds College and Bristol University. Alan has received international acclaim as a wildlife painter for his animal art, winning dozens of prestigious award including, 3 Awards at the David Shepherd Wildlife Artist of the Year 2018 including the coveted The Peoples Choice Award voted for by people visiting the exhibition. 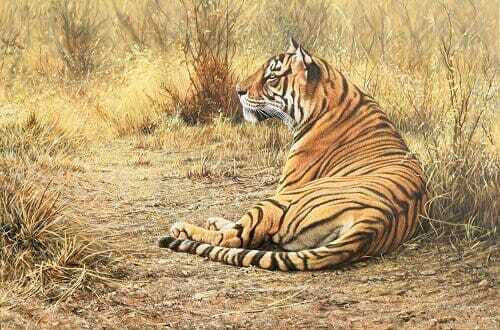 BBC Wildlife Artist of the Year Runner up and winner of Animals in their Environment. 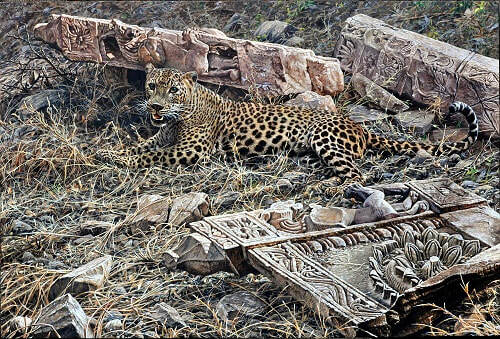 The Society of Animal Artists’ USA Award of Excellence on four occasions and The Wildlife Art Societies UK "Best Artist on Show" for three consecutive years. The Pacific Rim International artist of the Year . ​Alan M Hunt's popularity grew in the USA and he became the lead artist at five exhibitions in the US and in 1998 was the first non-American painter to be voted on to the American Wildlife Art Hall Of Fame. During his time he signed with publishing houses Framehouse Galleries in Kentucky, Mill Pond Press, NWF - National Wildlife Editions and later Washington Green. Alan’s animal artwork has become popular among private collectors and art lovers around the world and is work has been featured in some of the top galleries and museums including Holland's prestigious Jacht Museum, the Halcyon Gallery where he also exhibited at Harrods (The Art of Living Exhibition) 2003 alongside some of the finest past and present contemporary artists from around the world. During his painting career, Alan has taught in art workshops and exhibited all over the world with his animal art paintings alongside great artists and friends such as John Seery-Lester, Robert Bateman, David Shepherd, Carl Brenders, Raymond Ching, Brian Jarvi, Kim Donaldson, Andrew Ellis, Polyanna Pickering, Terry Isaac, Steve Winterburn, Simon Combes. Alan M Hunt judged the Daily Mail's "Not the Turner Prize" painting competition at the Mall Galleries, and the "National Children's Art” Competition alongside Rolf Harris also at the Mall Galleries in London. Some of Alan's most memorable painting field trips have been to Africa, Alaska, Yellowstone, Kenya, Guatemala, India, Nepal, Madagascar, Botswana and the Antarctic. His favourite was playing with the Mountain Gorillas in Rwanda. 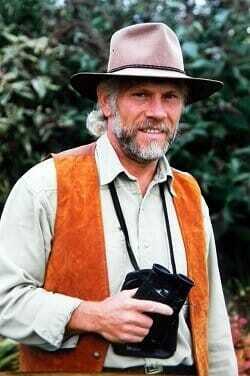 Including in 2005 The Mara Migration Exhibition with Kim Donaldson and Brian Jarvi. Antarctica expedition in November 2006 where he ran a series of workshops during the 19 day Antarctic voyage where he also captured reference material for an up and coming exhibition in London. There have been many different programmes for many countries. Friends of the Earth Int. "As nature intended" interview with the Yorkshire Post 2009. Alan’s interest in conservation and a love of all animals, flora, fauna, wildlife and nature has successfully made him one of the most acclaimed British wildlife painters in the world. Alan’s original animal paintings are only being shown in a few selected art galleries across the world. Please go to latest originals paintings to see all Alan’s current selection of African animal paintings for sale and check out his latest animal art page. Subscribe to Alan's exclusive email list to be notified of new animal paintings and artwork before they are released on this website. Click here to read more about the animal painter Alan M Hunt. 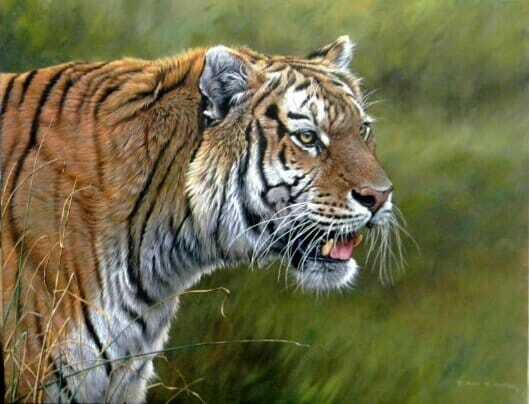 ​Please contact Alan if you are interested in purchasing any of Alan's original British animal paintings or animal art prints from this phenomenal UK animal artist.